O'Neill Honda’s auto finance team is here to walk you through the entire process of getting a car loan or Honda lease in Overland Park. From start to finish our experts will help you choose the finance plan that works best for your lifestyle. We work with a network of lenders to get you excellent rates on auto loans in Overland Park. You can start the process of getting an auto loan in Overland Park right away. 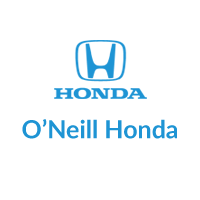 Complete O'Neill Honda’s online finance application form and we will review it, then contact you as soon as we have found a finance plan that suits your needs. We serve auto loans and Honda lease plans to Olathe, Lenexa, Shawnee and Merriam, KS. Choose your new Honda, or used vehicle, by browsing our dealership’s extensive inventory. You will find details, pictures and prices for all of our new and used vehicles. Please contact us with any questions by using the button below or calling 844-242-2336.